We appreciate your feedback about your support experience with WooCommerce, developers of WooCommerce Pre-Orders. This helps us maintain high standards on the WooMarketplace, and helps WooCommerce improve. 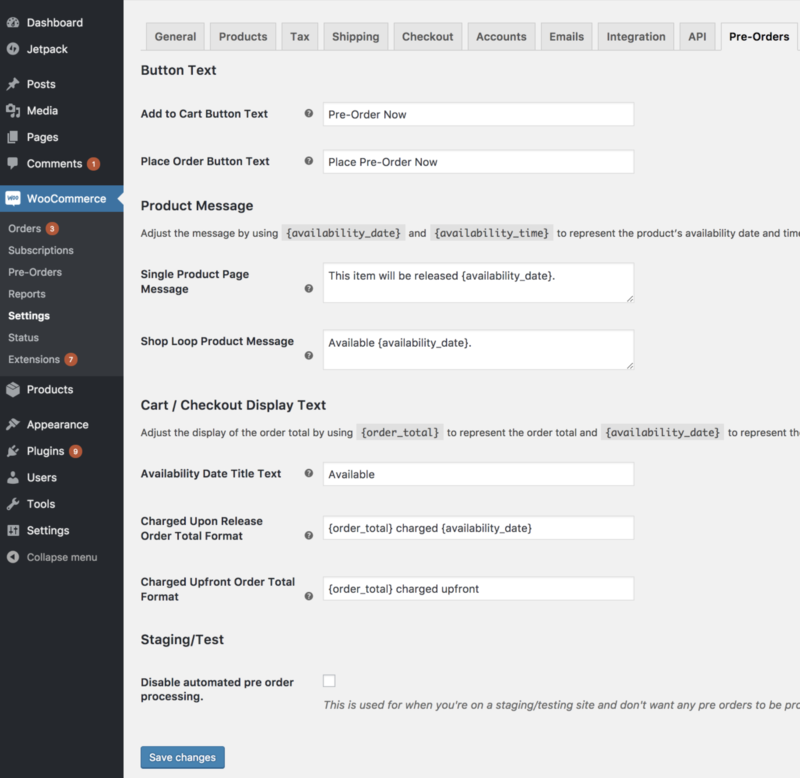 Set up pre-orders in your WooCommerce store, so customers can order products before they’re available. 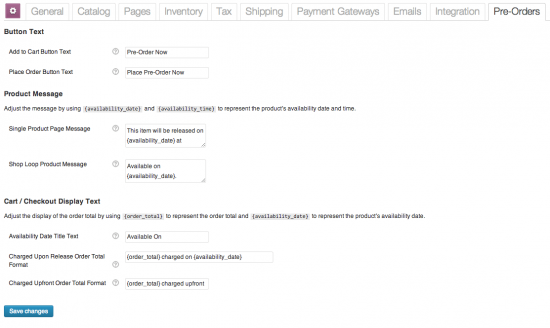 You can automatically or manually release and fill orders when you’re ready and let the extension handle the rest! Control how pre-order products are displayed using built-in settings for button text, product messages, and more. Display the time remaining until a product is available anywhere on your site using a countdown time shortcode with support for customization via CSS. Pre-Orders can be charged in two ways, up front or upon release. When charging a pre-order up front, the customer pays the entire pre-order amount during the initial checkout. When charging a pre-order upon release, the customer’s payment method is charged when the product is released (either by reaching the availability date, if set, or manually within the Pre-Orders admin) when using a supported gateway. If a supported gateway is not available, the customer will receive an email when the pre-order is released prompting them to come back to the store and pay for their pre-order. All pre-orders can be managed through a dedicated page. From here the admin can delay, complete, cancel, or email selected pre-orders, or use the actions section to perform the same actions for all pre-orders for given product. When you use one of the supported payment gateways, you can automatically charge your customer’s payment method when the pre-order is available. All gateways support manual payments for pre-orders, where the customer is sent an email asking them to come back and pay for their pre-order when it’s released.